Two starts for two wins and full steam into the Blue Diamond was the summary from Snowden Racing after they saddled up CATCH ME to her second victory in as many starts in the Preview. Punters cheered early on in the day at Caulfield on Saturday when Mick Price Racing teamed with Australian Thoroughbred Bloodstock's CRACK THE CODE made it three wins from four starts on his home deck. At nine years of age, ROCK 'N' GOLD won his ninth race in the lucky last with Damian Lane aboard. Gayna Williams Racing had a thrilling win with I AM A COOL KID and Australian Thoroughbred Bloodstock had success with SOCIAL SPIN. 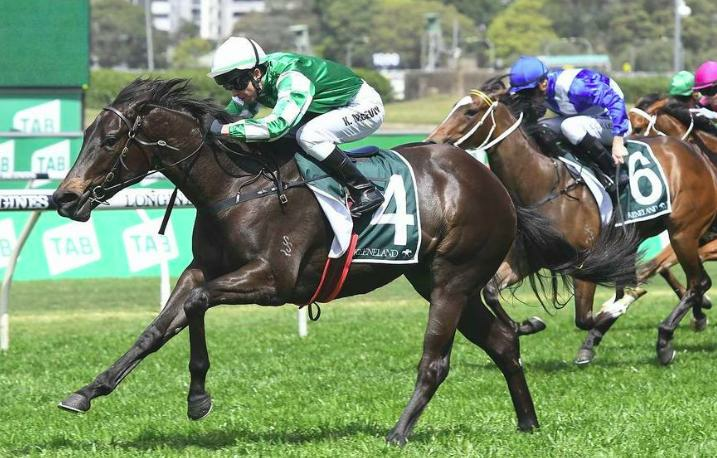 Randwick saw the Joseph Jones Racing team back in the winners circle after MERCURIAL LAD once again was able to lead from start to finish. Brett Cavanough also found success after Jason Collett rode $81 shot BRAZEN to the narrowest yet sweetest of wins! Ascot was a day out for WA clients starting with FIRE AND RAIN in Race 1 for Paul Jordan scoring comfortably from the front. Next up was Trevor Andrews who teamed with Jarrad Noske at odds of $1.30 when MISS WEST COAST did the right thing by punters for the second time this campaign. SHACKLETON also ran favourite and saluted for the Gangemi team, the son of Fastnet Rock's third win, while Wolfe Racing put the polish on MY GREEK BOY in Start 40 in the Australia Day Trophy. FORCEFUL also claimed a stupendous win with William Pike aboard for Williams Racing. Our friends in Adelaide also hit the scoreboard starting when WASABI BOB was too classy again under Raquel Clarke and has got into the winning habit to the delight of Leon Macdonald & Andrew Gluyas. Meanwhile Richard & Chantelle Jolly enjoyed success with KEMALPASA also going back-to-back. The Sunshine State saw Darryl Hansen enjoy success with BALBOA ROCKS at odds of $91 in the Sunshine Coast Cup! DAWSON DIVA enhance the Falvelon mare's CV after Garnett Taylor prepared her to her second win while David Murphy struck with the speedy ARCHER'S PARADOX in the following race. Well done to Lindsay Hatch who scored a win with JADENTOM while Phar Out Syndications followed suit with a win from CAPITAL GAIN. Strong wins also came from ZOUCARA for Munce Racing, SAPPHIRE GIFT for Helen Page Racing and PERFECT WITNESS for Gollan Racing. Cheers to the Brunton Team in Tasmania who trained a double on Sunday at Hobart thanks to stable star HELLOVA STREET and SIR SIMON both saluting while Adam Trinder did the same with MYSTICAL PURSUIT in the Elwick Stakes. A huge shout out to these successful overseas trainers; Nigel Tiley, G & G Richardson & Parker, Dan Meagher, Lee Freedman, Sean Tarry, Mike De Kock and Paul Lafferty for their winners.